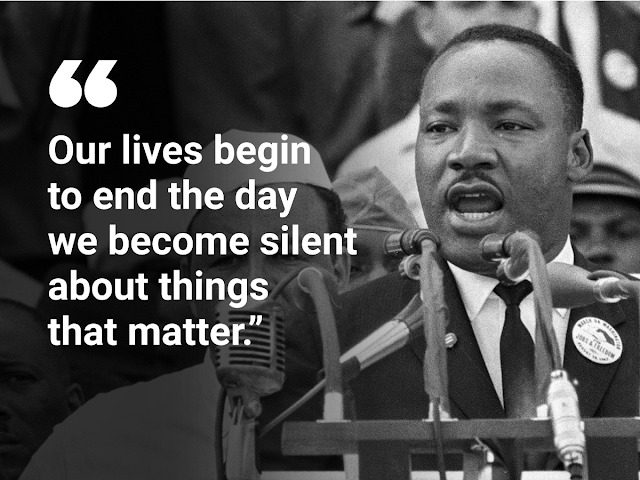 Martin Luther King Jr.(born Michael King Jr., January 15, 1929 – died - April 4, 1968) was an American Baptist minister and activist. He advanced the civil rights movement using nonviolence and civil disobedience based on his Christian beliefs and inspired by Mahatma Gandhi. After MLK Jr. was killed, Pope Paul VI in his Angelus address, said that the he was “a Christian prophet for racial integration.” January 21, is designated as MLK Jr. Day in the USA.